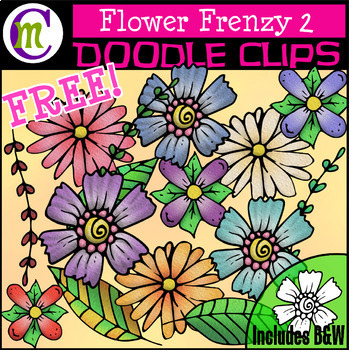 Who wants another spring clipart FREEBIE?! Great for adding a punch of color to covers, or to embellish your spring, Easter, or Earth day resources, these doodle flower illustrations are just the thing :) There are 5 different images, each in 3 different color variations. White-filled blacklines are also included.